There are many different companies that manufacture adult diapers. Depends is one of the few companies that allows you try their products for a nominal handling charge. This article will educate you on how to get samples to try. People with medical problems often experience incontinence. Those who are bedridden, in wheelchairs, or are impaired might not recognize when they need to go to the bathroom or can reach the bathroom in a timely manner. Depends has many fine products available to help people. In fact, the company invites customers to evaluate their different diaper products. 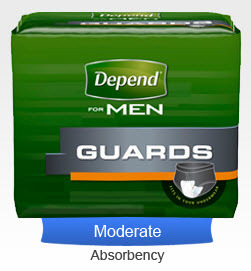 Depends has many different types of products that are available through its samples. These different types of adult diaper types include male guards, full protection garments and various types of disposable underwear. Specialty diapers are also available through The CareGiver Partnership. Such specialty diapers include swim diapers. These are an important part of swimming and pool therapy programs. The best types of swim diapers are made from stretch fabric. Swim diapers are adjustable and allow their wearers to enjoy a snug fit. They are washable and reusable. Samples to Try Before You BuyThe Depends line actually will provide you with samples. You will need to input your customer information in order to acquire the samples. What types of products can you get through Depends and their sample service? Men can get a wide variety of products from Depends. These samples can include the underwear-style diapers that many men prefer. Underwear-style diapers are great for men who are active. Men who are active enjoy the sleek fit that these underwear-style diapers offer. There are also adjustable diapers with buttons and others made with Velcro. These diapers are designed for men who are not active. They are great for people who are bedridden or get around in a wheelchair. Caregivers usually prefer this style of adult diapers as they are much easier to get on and off the person that you are caring for. Other companies such as The Caregiver Partnership also helps in providing you with samples of incontinence products - over 100 to choose from. This is a great way to compare the Depends line to others on the market to see which one will be able to fit your body type properly and will allow for plenty of protection against incontinence problems. Depends is one of the many companies that offer their samples of their products. These samples are very important because they allow you to choose the product that is right for you. When you get samples from Depends, you are not obligated to purchase any. However, Depends wants consumers to have the products that are best for them. Depends is very committed to the well being of their customers. Depends understands that the person who is purchasing diapers may be purchasing them for someone else. The person who is making the purchase will be able to determine which diaper product is the best. Getting a sample of diapers is a great way for a person to try some products out. Did you know that people buying incontinence products for the first time, spend $130 in trial and error before they find a product that best meets there needs. Now you can avoid this costly mistake. If you like the Depends samples that you get, you are to purchase in bulk from The CareGiver Partnership. You can make an order on their website or call them at 800-985-1353 and one of the nice ladies there will help you. You can get diaper products for men from most retail and pharmacy stores. Adult diaper products are found in the healthcare section of most stores. Buying incontinence supplies online or over the phone can provide you with a larger variety -- 10 times as many as even the big stores - to choose from and you will be able to have the products shipped discretely to your home. This is nice if you are trying to manage your condition without others knowing. Trying out Depends for men products will give you back your dignity again! The CareGiver Partnership is a national direct-to-consumer retailer of home healthcare products for incontinence, skin care, mobility, daily living aids, nutrition support and more. In its sixth year of providing products and services that help caregivers and loved ones maintain personal dignity, the company also offers an online library of more than 1,400 family caregiver resources and personal service by experts in caregiving. Call 1-800-985-1353 or visit online.